Welcome to the Diamond Centre Driving Group Page! Our aim is to provide an opportunity to disabled individuals to partake in this highly exhilarating sport with added benefits of health, well-being and enjoyment. We provide one to one tuition, with tailor made programmes to make sure you get the instruction and drive you need. You think riding is challenging? Come and see what we are all about! Our three newly trained RDA Whips are full of enthusiasm, ready to learn from you and to take your experience to the next level! 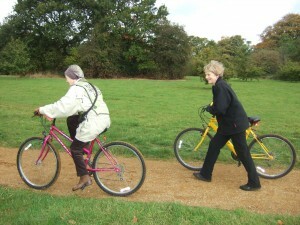 We cater to all types of physical disability, wheelchair users and age is not an issue! However at this present time we are only a small group with even smaller ponies, so we do have a weight restriction (limit those cakes/biscuits!). Please give us a call for further details! Our volunteers are essential to our team, without them we cannot run! 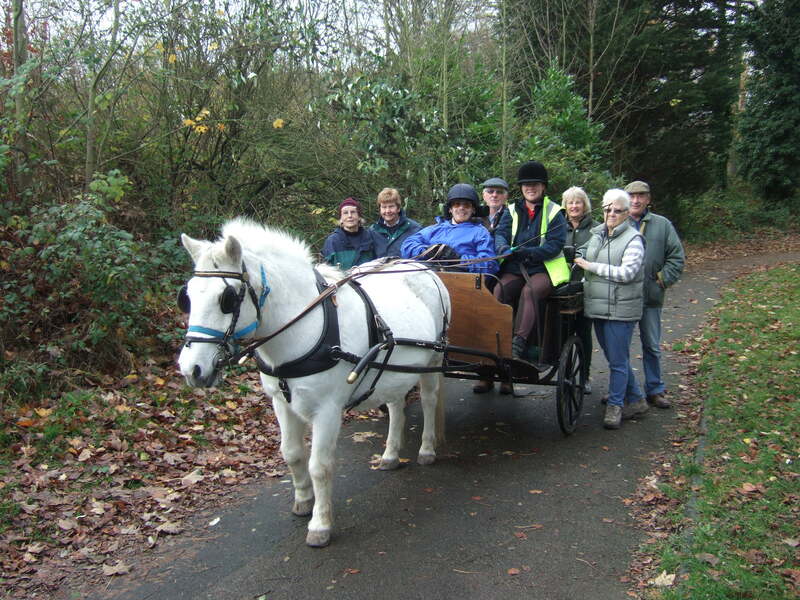 As a volunteer you will help to get our 2 ponies ready for their adventure, help our participants to get involved with the preparation to drive. 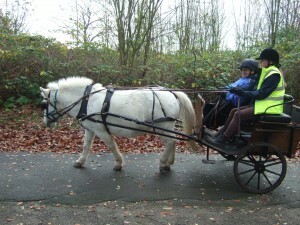 You will learn how to load and unload our non-ambulant drivers into the carriage and also assist our ambulant drivers. Whilst the drive is commencing we ask volunteers to be health and safety and risk assessors when off site either by foot or for the active kind on bikes! We already have a strong team of volunteers; however we are always looking for more as our group grows! 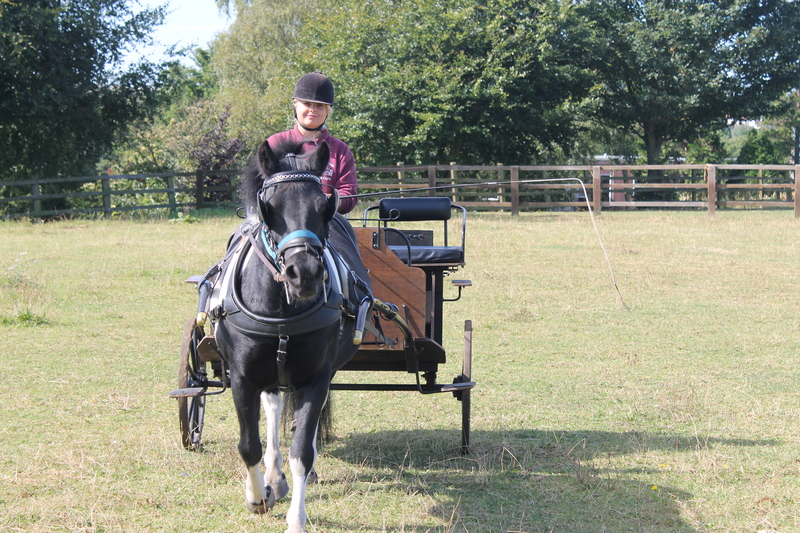 If you are interested in learning a new skill, getting to know our very welcoming current volunteers and RDA whips, then please give us a call and get involved! 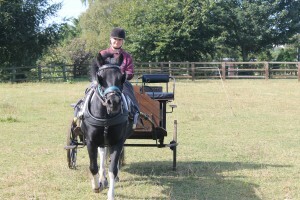 Blossom, 26 – Blossom started her career driving to the pub with her previous owner, stopping to talk to passers by. This has made her our trusty steed, even after a few drinks! Polly, 13 – Polly; also known as ‘Pocket Rocket’ is an adrenaline junkies dream! She thinks nothing of whizzing around a cones course and taking a speedy drive around the park! Princesse, 5 – Princesse trekked 1700km across France with the ‘Caravan of Hope’ and was donated to us to expand our driving activities. She’s a big girl and needs lots of training and new equipment before she becomes a full-time driver!